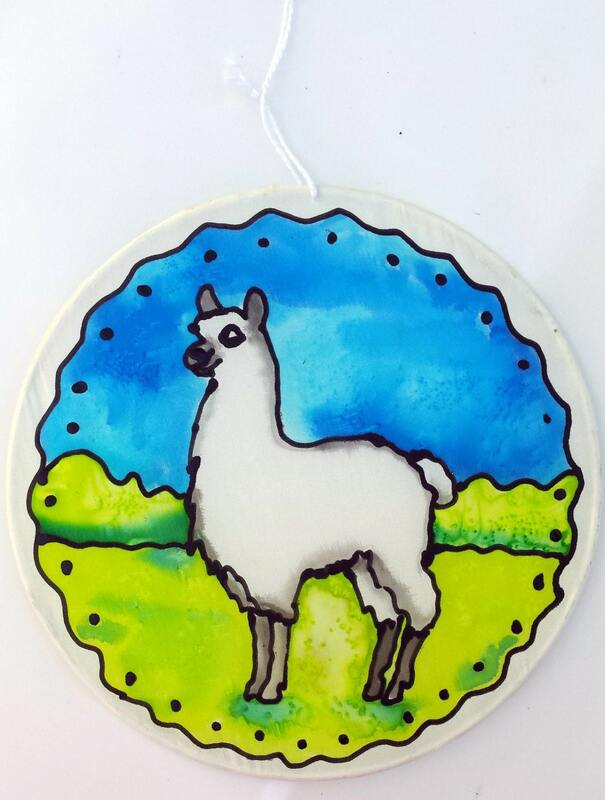 Hand painted alpaca, llama silk suncatcher. 6" diameter. These are very similar in looks to stained glass but lightweight and non-breakable. The silk is stretched across the rigid wire frame and I paint the designs. Suitable for indoor use as window or wall decor. Bright and colorful. Comes ready to hang with a string hanger. Great as gifts, ornaments, wall and window display. Each piece is hand painted and dyed by me, artist M Theresa Brown. Everything hand done here in my North Carolina studio! Custom orders and quantities available. This one is ready to ship.